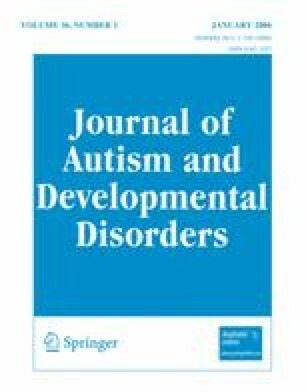 Research studies on sensory issues in autism, including those based on questionnaires, autobiographical accounts, retrospective video observations and early experimental approaches are reviewed in terms of their strengths and limitations. We present a cognitive neuroscience theoretical perspective on multisensory integration and propose that this may be a useful way of conceptualizing and studying sensory integration and the perceptual experience of persons with autism. Our goal is to operationalize the concept of sensory integration, a notion that is frequently alluded to in the field of autism yet rarely defined in empirical terms. We conclude with a discussion of how this re-conceptualization and study of sensory integration may generate testable hypotheses and lead to refinements in current perceptual theories of autism. Grace Iarocci’s work on this paper was supported by a research grant from the Social Sciences and Humanities Research Council of Canada and the Human Early Learning Partnership. John McDonald’s research is funded by the Canada Research Chair’s program, Canada Foundation for Innovation, and Natural Sciences and Engineering Research Council.